Known as one of the top favorite fruits especially in the summer strawberries are an aggregate fruit with the seeds exposed on the outside and grow on bushes with a beautiful little white flower. They are a great addition to any summer salad, salsa, drizzled in balsamic,or just eaten alone. Each berry is packed with amazing nutrients and health benefits to keep us all wanting to reach for more. Eye Health: Due to their high amounts of several different antioxidants strawberries have been said to help prevent eye issues. Immunity: Strawberries are rich in vitamin C making them a top berry to help boost the immune system and avoid illness. Digestive Health: Strawberries contain a great amount of fiber which can help to maintain a properly working digestive system. Energy: Each berry is packed with folate, a B vitamin, that is said to provide the body with repair and provide energy. 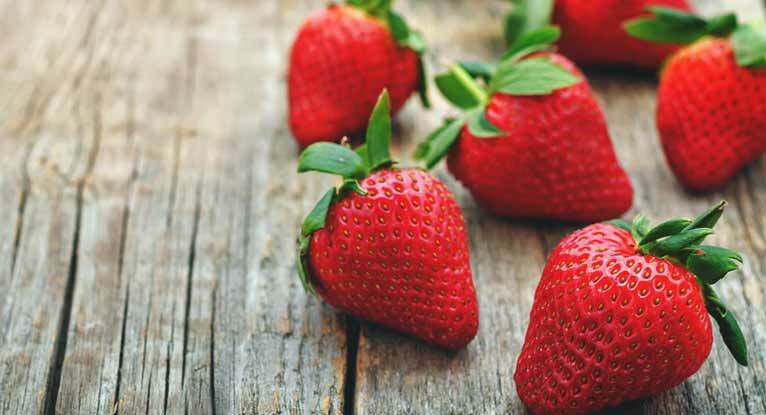 Lowering Blood Pressure: Rich in both potassium and magnesium, strawberries pack a punch when it comes to a healthy maintenance of blood pressure. Potassium in particular is a vasodilator which can help to reduce hypertension. 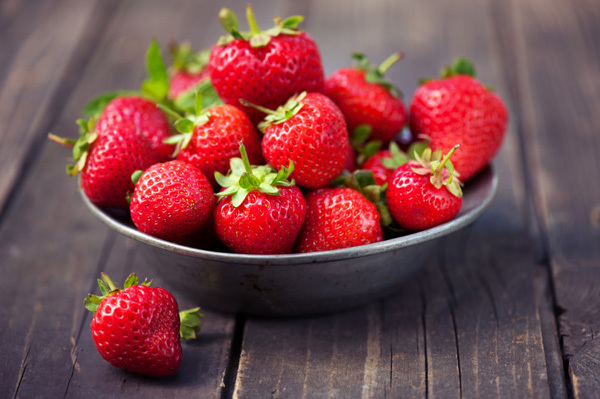 Reducing Cholesterol: The amount of fiber in strawberries has been said to reduce cholesterol in the arteries and vessels making them even more a superfood. Add in chia seeds and let cook 1 more minute then remove from heat and let sit for about 15 mins. If you still feel like it is not thick enough you can add in more chia by tbsp. Spread on bread, tortillas, add to yogurt or oats, or add to a favorite vinaigrette and ENJOY! Preheat oven to 350 F, spray 8X8 baking pan and set aside. Mix together in a bowl oat and coconut flour. Add all remaining ingredients to a blender except for strawberries and blend until smooth. Add in oat and coconut flour and blend until all is smooth. Pour blended ingredients into mixing bowl and add in strawberries and stir until mixed together. Spoon into baking pan and bake at 350 F for 35 minutes until edges are brown slightly and tooth pick test comes out clean.